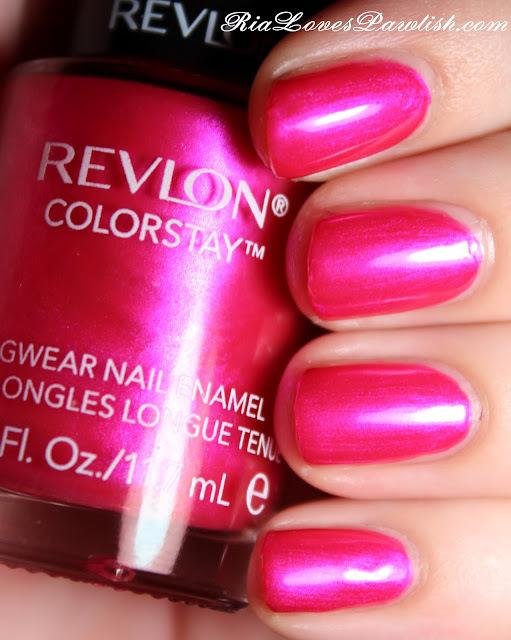 today's polish is Revlon Colorstay Wild Strawberry. their Colorstay line is fairly new and is more their most 'high end' (read, expensive!). i feel like Wild Strawberry is misnamed because i always think of strawberries as red, and this is a bright, juicy pink! it's really saturated and has a gorgeous pearl finish with the subtlest of shimmers. there are the eensiest of brushstrokes but they aren't noticeable at all! the formula is awesome, two easy coats for full opacity! one coat Orly Nailtrition, two coats Wild Strawberry, one coat Seche Vite. 2012 Cosmoprof Day 2... Products to Review!